After enjoying a four week run at #1 (the longest of 2019 so far), Girlpool steps back 1-3 on the NACC 200. The chart’s new #1 album comes from Australian singer/songwriter Julia Jacklin. Her sophomore LP, Crushing, becomes the sixth chart-topper of the year. The Polyvinyl release currently places inside the Top 10 of the best-reviewed albums of the year according to Metacritic. Jacklin will need to fend off a number of releases next week. Better Oblivion Community Center are looking to complete what would be the longest climb ever to #1 on the NACC 200. Sasami (19-5) along with Chai, Karen O & Danger Mouse (the new #1 at NACC NEXT), and Andrew Bird (the new #1 at NACC Non-Comm) also all look poised to make a run for the top spot. Four new albums reach the NACC Top 10 this week. The aforementioned Sasami, Karen O & Danger Mouse (who race 70-8), and Hand Habits (who jumps 17-8). But last week’s most-added record from Japanese quartet Chai blows everyone away leaping impressively from 111-7. Their sophomore LP, Punk (out on Burger Records), also ranks inside Metacritic’s Top 10 of 2019 so far, and with such a massive climb, #1 certainly looks within reach. Time will tell. Blazing up from 154-25 on the NACC 200 this week is English electronic afro-funk outfit Ibibio Sound Machine. Formed in London in 2013 by a trio of producers looking to create a band whose sound would focus on 80s afro-beat and 90s drum-and-bass, they recruited singer Eno Williams and live musicians were added. Now eight members strong, Ibibio Sound Machine’s third LP (and second on Merge Records), Doko Mien, is this week’s biggest climber. It also moves 6-4 at NACC World and 13-5 at NACC Electronic. The NACC 200’s highest debut this week is the lowest-debuting of the year so far, opening at #69. It comes from Los Angeles-based electronic musician and producer Henry Laufer, who has recorded under the name Shlohmo since 2009. His debut LP, Bad Vibes, was released in 2011. The End is Shlohmo’s third LP and first since 2015’s Dark Red. Laufer has produced music for the likes of Banks, Tory Lanez & Post Malone as well as remixing Drake, Flume, and Gucci Mane among others. This week’s most-added album comes from another artist we mentioned earlier. Beloved indie musician Andrew Bird has returned with his 15th LP, amusingly titled My Finest Work Yet. Bird’s career dates back to 1996 and, in addition to his own catalog, his credits include a number of Squirrel Nut Zippers albums (he was a member before launching his solo career), appearances on albums from Neko Case, Bonnie ‘Prince’ Billy, and Ani DiFranco (among many others), as well as writing a song for the 2011 The Muppets movie and the score for the TV show Baskets. He nabs nearly 100 Top 10 adds this week and his album (in addition to its 16-1 leap at NACC Non-Comm) is already up 48-16 on the NACC 200 this week too. The Black Keys lock down #1 on the NACC Singles Chart for a second week with their new single “Lo/Hi” (which also climbs 37-28 on the NACC 200). The week’s most-added single marks the return of Kevin Parker’s Tame Impala. “Patience” is the first song released from his yet-to-be-titled fourth LP. Tame Impala will be the musical guest on the next SNL, to air March 30.  You can find the Top 20 of the NACC 200, the Top 5 of the NACC Adds Chart, and all of this week’s #1 genre releases and most-added genre records below. In addition to the aforementioned new #1s at NACC NEXT and Non-Comm, we also have new #1s on the Jazz, Chill, and Blues Charts as well as a return to #1 at Hip Hop.